From our text it becomes very obvious that there are certain things wealth cannot purchase. As you read our text the psalmist lists three things that wealth cannot do. Wealth cannot purchase his brother (verse 7). Wealth cannot purchase his soul (verse 8). Wealth cannot sustain wealth (verse 10). God says that those who depend upon their wealth – this their way is folly (verse 13). In 1917 the British liner Laurentic was sunk in one hundred fifty feet of water by a German submarine. This ship carried the largest treasure that any ship up to that time had ever carried. 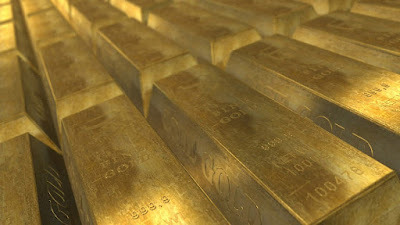 It was loaded with 3,211 gold bars worth twenty-five million dollars. Because of the shallow water and the amount of treasure, the British Navy kept divers going down into the hull for many years. Diving in those days was not what it is now, and often operations had to stop because of a storm. Seldom could a diver stay down longer than one hour at a time. But the project was very successful, for the divers were able to recover all but one hundred fifty-four gold bars. The cost of the program was only a half-million dollars. Those remaining one hundred fifty-four gold bars are still there. The Navy gave up because the cost of recovery was more than the treasure is worth. For all practical purposes, the treasure in the Laurentic is exhausted. This is typical of all human treasure. Wealth, in and of itself, is not the problem; it is when our faith is in our wealth rather than in God. ✞ Use your wealth to spread the gospel, and love God with all your heart.